BROOKE BLOOMQUIST (Camera Operator/Acting Intern) is thrilled to be a part of Infinity Theatre’s sum- mer season! 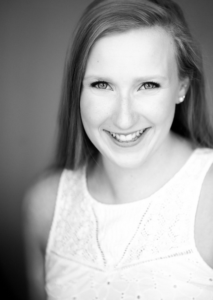 She is a rising junior pursuing a BFA in Musical Theatre at Coastal Carolina University. Regional credits include ACE, A NEW MUSICAL (Signature Theatre) and A CHRISTMAS CAROL (Ford’s Theatre). Other favorite productions are INTO THE WOODS (The Witch), HAIRSPRAY (Amber Von Tussle), OKLAHOMA! and THE 1940s RADIO HOUR. She is incredibly thankful for her parents’ support. KATIE REY BOGDAN (Katie Rey/Acting Intern) is absolutely thrilled to be a part of In nity Theatre Com- pany’s 2017 Season. She is a D.C. based actress who has recently completed her Bachelor’s of Music at The Catholic University of America. Recent performance credits include LITTLE WOMEN (u/s Marmee, Aunt March), CITY OF ANGELS (Angel City Four Alto), and THE MOST HAPPY FELLA (Marie). Her directing credits include URINETOWN (Assistant Director; NextStop Theatre Company), CHILDREN OF EDEN (CenterStage Theatre Company), and SIDE SHOW (Assistant Director; Montgomery College Summer Dinner Theatre). 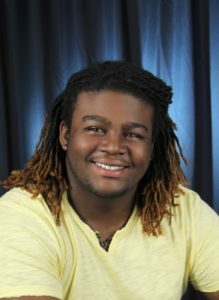 DAKARAI BROWN (Dakarai/Acting Intern) is so excited to be making his professional debut in his hometown of Annapolis after completing his first year at Ithaca College’s BFA Musical Theatre program! Being an alum of both CTA and the Infinity Theatre High School Internship, he feels blessed to be able to continue his relationship with this incredible company as a college intern this season. Favorite roles include Troy in FENC- ES, and Donkey in SHREK THE MUSICAL. Many thanks to Infinity Theatre Company for this opportunity. ASHLEY D. BUSTER* (Ashley) is super excited to make her debut with the Infinity Theatre Company! She is a member of the Actors’ Equity Association and native to the Washington, DC metro area. Along with per- forming, Ashley is a teacher and teaching artist through out the area. Most recently she has been seen in THE GOSPEL AT COLONUS (Avant Bard). Some of her other area credits include FREEDOM’S SONG (Ford’s) and ELMER GANTRY (Signature). JP COLETTA (JP) is ecstatic to be returning to the Infinity stage! 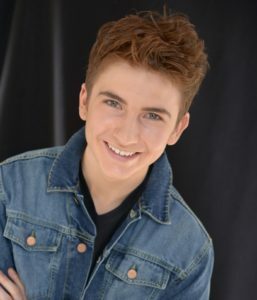 Last summer, JP was seen as the killer himself, Jerry Lee Lewis, in MILLION DOLLAR QUARTET for which he received a Helen Hayes nomination for “Best Lead Actor in a Musical.” JP is currently a rising senior at The Boston Conservatory, pursuing a BFA in Musical Theatre. Regional credits include: THE SOUND OF MUSIC and A MUSICAL CHRISTMAS CAROL (PCLO), JESUS CHRIST SUPERSTAR and WHITE CHRISTMAS (LPPAC). Other favorite credits include: LITTLE SHOP OF HORRORS, SWEENEY TODD, COLUMBINUS, and SIDE SHOW. As a music director some favorite credits include: SWEENEY TODD and THE GREATEST MUSICAL EVER (New Musical Workshop). Thanks to Alan, Anna, and the whole Infinity team! Love to my wonderful support system of friends, family, and mentors. 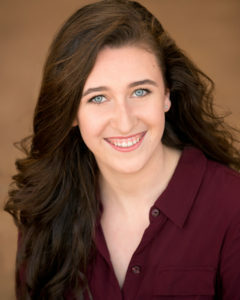 ELLA GREEN (Ella/Acting Intern) just graduated from Severn School in Severna Park, MD and is thrilled to be working with Infinity Theatre Company. Ella has been in over 10 productions with the Children’s Theater of Annapolis including LEGALLY BLONDE (Kate), SHREK THE MUSICAL (Fairy Godmother), THE LITTLE MERMAID (Aquata), and MARY POPPINS (Winifred Banks). Ella has also recently been performing with Colonial Players where she has been in CLUE THE MUSICAL (Miss Scarlet) and THE SECRET GARDEN (Martha). Ella has also been a featured performer with Live Arts Maryland at Maryland Hall. Ella plans to study Musical Theater at Belmont University this coming fall. Thanks to my friends and family for all your support! 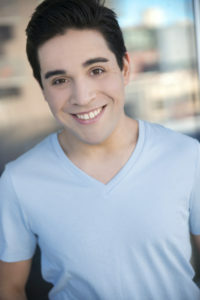 MARC PAVAN (Marc/Acting Intern) Red Branch Theatre Company: HEATHERS: THE MUSICAL. The Catholic University of America: CITY OF ANGELS, INTO THE WOODS, THE MOST HAPPY FELLA. Montgomery College: SIDESHOW, LEGALLY BLONDE, SEUSSICAL, THE WIZ. LAURA STRACKO* (Magda) is so excited to be here! A PA native, she now resides in NYC where she sings with the St. Francis of Assisi music ministry. Off Bway: ALLEGRO, ASTORIA STORIES. National Tours: DAMN YANKEES, A CHRISTMAS CAROL Regional credits: SISTER ACT, MAMMA MIA, LES MISERABLES, RENT, GODSPELL, HAIRSPRAY, AUGUST: OSAGE COUNTY, PETER PAN, FOOTLOOSE, BAD JEWS, and more! www.laurastracko.com Instagram: @thisislaurastracko Special thanks to Todd & Nikki at ATB Talent, Anna & Alan for this incredible opportunity, my Biggie, and my beautiful family. Mops & Pops, I’ll be loving you always, this is for you. ALAN OSTROFF (Director) began his career as a performer, working regionally in roles including Jesus in SUPERSTAR, Motel in FIDDLER, Riff in WEST SIDE, and the starring role in a comedy he wrote and produced, TRADITION (NYC Fringe 2006). He directed the drama SOCIAL WORK for the 2007 Manhattan Repertory Summerfest, and cabaret benefits for Arts For All in NYC. He is the writer of three children's shows produced in Annapolis and New York. Alan founded Infinity Theatre Company with his wife Anna, and last directed ALMOST HEAVEN in 2016. BFA, Drama, NYU Tisch. LAURA MUELLER (Music Director) has been music directing in the Annapolis area for the past five years. She currently works as a teacher for the AACPS Performing and Visual Arts Magnet program, where she has music directed AIN’T MISBEHAVIN’, ONCE ON THIS ISLAND, URINETOWN and INTO THE WOODS. 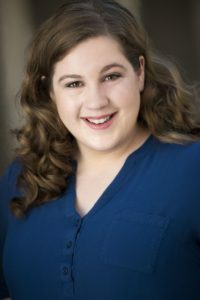 Outside of her school schedule, Laura performs frequently with local musicians as a piano accompanist, music directs various children’s theatre pieces, and performs in the pit orchestra for regional theater companies. 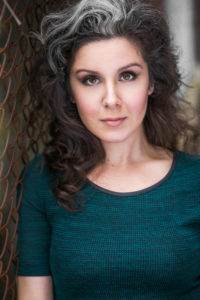 Laura was nominated for a Helen Hayes Award in 2015 for her music direction of DANI GIRL. KIMBERLY SCHAFER (Choreographer) is an award winning NY Director and Choreographer. She received her Bachelor of Performing Arts in Dance Performance from Oklahoma City University. Recently she was the Dance assistant to Tommy Tune and Randy Skinner on the production of LADY, BE GOOD at City Center. She continues to assist Tommy Tune on all of his solo shows such as Ford’s Theatre, a perfor- mance for President Obama. She is the creative director for MASQ, a show at the Off-Broadway theatre, the Diamond Horseshoe. 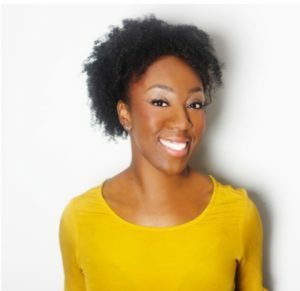 She was an associate choreographer for BROADWAY BARES 24-26 and DANCING ON A DREAM at The Duke Theatre in New York. 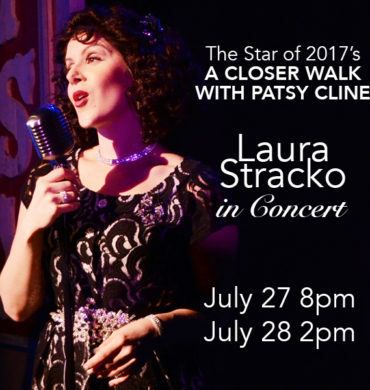 Some of her regional choreography credits include ALL SHOOK UP, THE DROWSY CHAPERONE, SISTERS OF SWING, ON THE TOWN, SINGIN’ IN THE RAIN, and many more. QUINN STONE/STONEDOG STUDIOS (Scenic Design & Fabrication) StoneDog Studios is a design and fabrication scene shop providing creative solutions for lm, television, theater, photography, exhibits and marketing events since 2008. We are one of the few woman-owned and operated scene shops, providing premiere production design and set / prop fabrication. We are a collection of creatives who have worked in the industry for a 20+ years. We are also moms. Hardworking, creative moms with a no nonsense approach to business. We multitask like no other and we make sure our clients’ needs are met. We take care of what is keeping you up at night so you don’t have to. We seriously love a challenge, the more ludicrous the better. NATHAN HAWKINS (Lighting Design/Assoc. Technical Director/Master Electrician) is excited to be back at Infinity again this year. He has been the Master Electrician for the past several years, as well as the Lighting Designer for ELEPHANT AND PIGGIE’S WE ARE IN A PLAY, JACK VS. RAPUNZEL: THE MUSICAL. Awards: VIV: BLOOD AT THE ROOT (nominated). Nathan is a first-year MFA candidate at The California State University Long Beach. BFA The Pennsylvania State University. Online at hawkinslighting.net. KRISTINA MARTIN (Costume Design/Wardrobe Supervisor) is a DC-based theatrical costume designer. A 2014 graduate of The College of William and Mary, she received a degree in technical theatre, focusing on Costume Design and Wardrobe. Post-graduation, she relocated to the DC area to be the Resident Costume Designer for NextStop Theatre Company in Herndon, VA, where she would design more than 20 produc- tions. This season, Kristina’s work extended to Keegan Theatre, where she designed SIX DEGREES OF SEPARATION. She also joined Washington National Opera as an Assistant Costume Coordinator, while designing EURYDICE, WILLY WONKA, BOEING BOEING, and URINETOWN for NextStop Theatre Company. Her previous work with In nity includes MILLION DOLLAR QUARTET and ALMOST HEAVEN. To learn more, visit her website at KristinaMartinDesign.com. KRISTIN LOUGHRY* (Production Stage Manager) is glad to be back for a third summer in Annapolis! She is based in New York City. Previous In nity credits: MILLION DOLLAR QUARTET, ALMOST HEAVEN and RING OF FIRE. Other credits include THAT FACE (Baltimore Center Stage), COMPANY (Lyric Stage Boston), PITBULLS (Rattlestick Playwrights Theatre), BILL W. AND DR. BOB (Soho Playhouse), IN TRANSIT (Primary Stages), THE NUTCRACKER (Gelsey Kirkland Ballet), A ROCKIN’ MIDSUMMER NIGHT’S DREAM (12.14 Foundation), HOW TO BREAK (National Theatre in Oslo), three seasons with the Hangar Theatre in Ithaca, NY and six seasons with NYU’s Grad Acting program. Graduate of Ithaca College. MORGAN LEIGH BEACH* (Assistant Stage Manager) is currently pursuing her MFA in stage management at Columbia University in the City of New York. Selected Credits Include: US. Premiere of Adam Rapp’s WOLF IN THE RIVER at the Flea Theater (PSM), NICE WORK IF YOU CAN GET IT, 9 TO 5, THOROUGHLY MODERN MILLIE, FIDDLER ON THE ROOF, SINGIN’ IN THE RAIN, and more at Garland Summer Musicals (PSM). World Premiere of Renegade Animation’s CHRISTMAS IS HERE AGAIN, MY FAIR LADY, Margaret Atwood’s THE PENELOPIAD at Paci c Conservatory Theatre (ASM). THE TEMPEST directed by Aaron Posner and Teller at Chicago Shakespeare Theater (PA). Go Navy! MEAGAN SPRY (2nd Assistant Stage Manager/Stage Management & Technical Intern) is a stage manage- ment student at the University of the Arts in Philadelphia. University credits include FOLK WANDERING, ANNIE SALEM: AN AMERICAN TALE, and A LITTLE NIGHT MUSIC in the Polyphone Festival, and MARIE CHRISTINE. Other credits include YOUNG FRANKENSTEIN at the Villager’s Theater and [TITLE OF SHOW] at the Annapolis Summer Garden Theater. ALEC GREEN (Bass) is a guitarist, bassist, and audio engineer. Green’s recent projects include a recital at the Peabody Conservatory, with repertoire spanning from the work’s of Villa Lobos, to contemporary composer Fred Hand. Green is a frequent performer with Live Arts Maryland, with recent performances including the Live Arts Maryland annual Gala, their A Celebration of Christmas concert, and their show ONE SINGULAR SENSATION - The Music of Marvin Hamlisch. Green recently played guitar on a recording for the Baltimore based professional theater company Center Stage, for their production TWISTED MELODIES. Also skilled as an audio engineer, Green’s credits include the album On a Wire by the band Ambit Orbit, Heart on Fire by Jacob Jasper, his own 2 EPs, a live recording of the Peabody Jazz Ensemble, and the Annapolis Chamber Orchestra and Annapolis Chorale’s performance of the Mozart Requiem and Carmina Burana. Alec Green currently studies classical guitar and audio engineering at the Peabody Institute of the Johns Hopkins University. JAIME IBACACHE (Guitar 1) has been a professional guitarist and music educator in the DC/Baltimore and surrounding areas for 15 years. Originally from the country of Chile, he attended Berklee College of Music, in Boston, Ma, graduating with a degree in Guitar Performance. Jaime has participated in various projects and events, including various rock, funk, metal, blues, jazz and country bands along with experience playing in musical theater orchestra pits in various local theaters. JAY MCCARTHY (Guitar 2) is absolutely thrilled to be working with Infinity Theatre Company this summer. Following his internship with the Company, Jay will be attending The University of Massachusetts Boston in the liberal arts program. In his high school years, Jay has been involved in various shows onstage including EVITA, LES MISÉRABLES and KISS ME KATE to name a few. He is also involved with playing violin in pit orchestras for shows such as AIDA. He also performs with the Baltimore Symphony Youth Orchestra. Jay would like to thank his past directors for getting him to where he is now and thank his mom and sister for end- less support and love. CAROLINE PARSONS (Percussion) is a sophomore at University of Maryland College Park. She has been playing the drum set for 16 years. She is currently a drum teacher and mentor. Throughout her career she has won many solo and group competitions/awards, including 4th internationally in the Hit Like A Girl Contest. She has also competed and placed in All County and All State for Jazz Band and Concert Band consistently. This year alone she has played for A CHRISTMAS CAROL, EVITA, and INTO THE WOODS. Now she is ready to rock the house for GODSPELL! DANIELLE WIRSANSKY (Producing Apprentice) is a playwright, director, dramaturg, and producer whose plays and musicals include SHADOW OF DARKNESS, ALARM OF THE PEOPLE which toured at the Greensboro and Orlando Fringe Festivals in 2017, CITY OF LIGHT, FALLING IN LOVE IS SUCH AN EASY THING TO DO, and BLONDE. Short plays WHITE MOUSE, LAW MAKERS, HEART BEATS, and THE VULGARITY OF GRACE have been produced at festivals around the USA and internationally. She is also a founder and president of White Mouse Theatre productions, a theatre company dedicated to social change. She graduated with a BA in Theatre and a BA in English (Creative Writing) and is currently pursuing her MA in History at Florida State University. 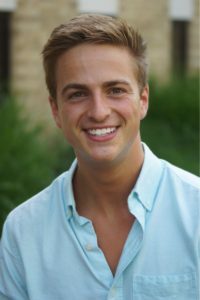 JEREMY JOSEPH EHLINGER (Associate Producer) is thrilled to be working with In nity! He started with Infinity in 2011 and has assisted in producing HANK WILLIAMS, I DO! I DO!, RING OF FIRE, BABY, ALMOST HEAVEN and MILLION DOLLAR QUARTET. He was also the Producing Assistant for the Broadway Revival of the Tony Award-nominated DAMES AT SEA. 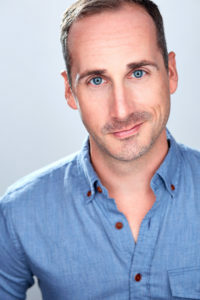 Prior to working year-round for Infinity, Jeremy worked in the casting departments for the Tony Award-winning Chicago Shakespeare Theater as well as for Bob Cline Casting, helping to cast the national tours of BEAUTY AND THE BEAST and ELF. As a director, he has staged Infinity’s BROADWAY NIGHT as well as the new play BURNOUT for the Midtown International Theatre. This past year, he independently produced APHRODISIAC at Loft227 in NYC. 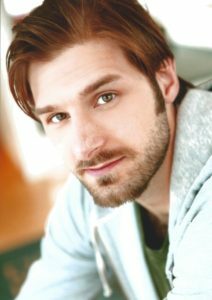 Jeremy holds a BA in Drama from Ithaca College and is a proud alum of the National Theatre Institute at The Eugene O’Neill Theater Center.